Police arrested an Easton man in Mapleton late Thursday afternoon in connection with the theft of a tractor-trailer truck in Easton on Tuesday, but his girlfriend who also is a suspect remains on the loose. 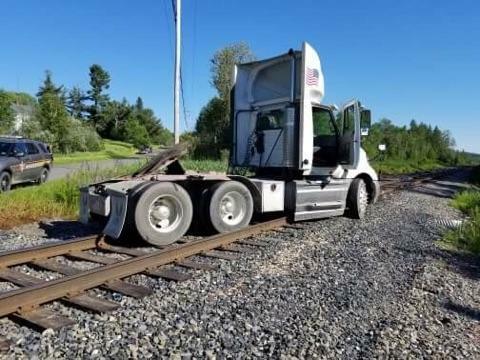 MAPLETON, Maine — Police arrested an Easton man in Mapleton late Thursday afternoon in connection with the theft of a tractor-trailer truck in Easton on Tuesday, but his girlfriend who also is a suspect remains on the loose, according to Aroostook County Chief Deputy Sheriff Shawn Gillen. Police also suspect both Jessie White, 39, and his girlfriend Darcy Webber, 33, of Easton in the theft of other vehicles in Aroostook and Washington counties over the last few days. Deputy Sheriff Roy Guidry arrested White without incident on the Carvell Road in Mapleton at around 4:30 p.m. on Thursday, July 5, after someone reported spotting the pair on Main Street in Presque Isle. At the time, the two were driving a red 2005 Chevrolet pickup truck, allegedly stolen from the Red Barn Motel in Milbridge, according to police. Officers transported White to the Aroostook County Jail where they booked him on charges of unauthorized use of property and eluding an officer, both Class C felonies. Investigators believe Webber remains at large with the stolen pickup truck out of Washington County. Police first became involved in the alleged crime spree at about 1:30 p.m. Tuesday, July 3, when Terry White of Easton called police to report that his white 2012 Freightliner tractor-trailer truck without a trailer attached had been stolen and that he had last seen Jessie White and Webber heading toward Presque Isle with it. Police did not indicate whether the Whites are related. Deputy Sheriff Vance Palmer issued an alert to law enforcement as well as posted a message on the Aroostook County Sheriff’s Office Facebook page seeking the public’s help in locating the two suspects. At about 4:40 p.m. Tuesday, the sheriff’s office received a report that the semi-truck had been spotted on Route 163 in Castle Hill and was headed toward Ashland. Ashland Police Officer Laney Merchant intercepted the truck, but the driver refused to stop when Merchant activated her emergency lights and siren. A U.S. Border Patrol unit and Deputy Palmer also joined in the pursuit. As the truck approached Main Street in Ashland at a dangerous speed, officers backed off the chase for public safety concerns, according to police. The truck continued onto Sheridan Road and became stuck on railroad tracks. White and Webber then fled into a nearby wooded area and escaped before officers were able to apprehend them, according to the sheriff’s office. Then on Thursday, authorities from the Aroostook County Sheriff’s Office received a report from the Washington County Sheriff’s Office about a red 2005 Chevrolet pickup allegedly stolen from the Red Barn Motel in Milbridge. At about 1:30 p.m. the truck was spotted on Main Street in Presque Isle and authorities from the Aroostook County Sheriff’s Office, Maine State Police and Presque Isle Police Department conducted a search of both the Presque Isle and Mapleton areas for White and Webber. Guidry spotted White walking on the Carvell Road and arrested him without incident. Police said they also believe the couple was involved in the theft of a vehicle out of Houlton, but more details on that incident were not immediately available. 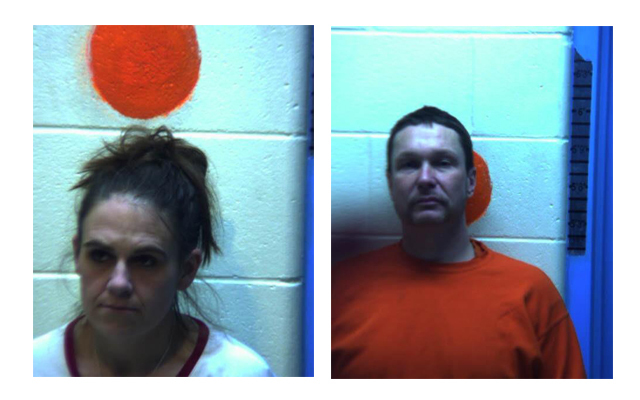 White and Webber are facing multiple charges by the Ashland Police Department, Houlton Police Department and the Washington County Sheriff’s Office in connection with the motor vehicle thefts, police said. The sheriff’s office still has a search warrant out for Webber and anyone who has information about her whereabouts is urged to call police at 1-800-432-7842 or Aroostook County Crime Stoppers at 1-800-638-TIPS (8477).